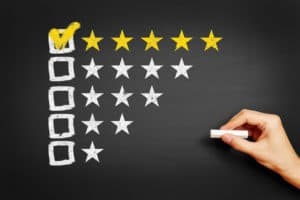 Is Your VA Disability Claim Evidence Worth “5 Stars”? Do you know how to find and submit the best VA Disability Claim evidence? Not so long ago, I was talking to a rater in a major metropolitan Regional Office. Over the years, I have gotten the opportunity to get to know many GOOD people inside the VA – people that want to do the right thing. This Rater is one of those people. We got to talking about evidence, and I asked the Rater this question: when you are deciding a claim, which is most important – lay evidence or medical evidence? That’s a pretty powerful statement – it really explains a lot about why Veterans have difficulty winning their claims. Yes, the VA can (and often is) a bumbling bureaucracy of buffoons. Yes, there rules are often obtuse and incomprehensible by the people that have to live with those rules. Do we have the BEST evidence to prove our case? Did you Give the VA a Haystack of VA Disability Claim Evidence – and Ask Them to Find the Needle? Every day I’m interacting with Veterans – in person, online, or on the phone – discussing their VA Claims and appeals with them. What I’ve come to realize is that most Veterans don’t know how to find and submit the right VA Disability Claim evidence. Instead, they dump a whole bunch of paper onto the Regional Office (or now, the Evidence Intake Center)and leave the VA to sort through it. When the VA doesn’t respond – who would, honestly – they send more paper….or the same paper again. But, listen – I’m not blaming Veterans. They do this because NOBODY tells them how to submit better and more powerful evidence. Go to any mechanic and they will tell you how to check your tires to see if they are balding. Go to any dentist and they will tell you how to keep your teeth clean and reduce the need for fillings. But who do you go to if you want to submit BETTER VA Disability Claim Evidence? Or to learn how Competent and Credible VA Disability Claim Evidence can give your VA Claim wings? Nobody – not the VA and certainly not VSOs – take the time to show Veterans the basic concepts of evidence so that it is easier for them to handle his or her own claim. Many VSOs don’t often know a C-Clamp from a C-File and confuse more issues than they fix. The Veterans Court and the Federal Circuit Court of Appeals issue opinions the require intellectual gymnastics to reconcile – for example, the contradictions in Middleton and Stallworth cases confuse the process for everyone, leaving the VA and Veterans community with very different ideas, and serious concerns about the stability of the judicial rule of law. And, in the Veterans’ community, our equivalent of “Jailhouse lawyers” (what I call the VFW lawyer) spend a lot of time blowing hot air. Frankly, the system is just too damn confusing – it was developed when more Veterans died in war than died in the peace, and there were nowhere near 21 million disabled American Veterans. Here’s How to Submit BETTER VA Disability Claim Evidence. I have 4 Principles that guide me in my decisions how to submit better VA Disability Claim Evidence in my client’s cases. I used them to get a DRO Decision in a Veteran’s appeal in under 60 days. I used them to get a Veteran’s claim for service-connection granted in 45 days. Veterans are using them to get their Sleep Apnea service connected in under 3 months….or to win 100% permanent and total disability benefits in 7 months. I’m not promising you can get those kinds of results. Here’s what I am saying: if you stick to these 4 Principles, you will have a MUCH less stressful time with the VA Disability Claims process, and you might just get a better or faster decision. Principle 1: A Thorough Knowledge of What is In Your VA C-File is CRUCIAL! If you don’t know know how much flour to use when making cookies, they are going to taste like crap. If you don’t know what goes on under the hood of your car, you’re never going to know how to figure out why it isn’t starting. Same thing in a VA Claim: the Veteran that does not have a copy of his C-File will never know why the VA keeps screwing up his claim. The C-File is the most important document in a VA Claim. Bottom line: Learning how to submit the RIGHT – and the BEST – evidence requires you to know exactly what is and is not in your Claims File. So go right now and learn the 3 ways to get your C-File – then go and get that C-File right away! Principle 2: Don’t give the VA a haystack of evidence & get pissed if they can’t find the needle. When I was a kid, my uncle and I used to work puzzles together. The most frustrating puzzles – the ones I walked away from – were ones that were all the same color and shape. The evidence that a good number of Veterans submit looks the same – just like the pieces of those puzzles. They are the same VAMC Medical Records, the same newspaper articles, the same website printouts, the same VA Form 21-4138…everything they submit looks the same to a Rater that is looking at several hundred claims each week. Listen – there are good people in the VA – but don’t expect them to help solve your VA Disability Claim “puzzle” if you can’t make it a little easier for them. Bottom line: Learn what pieces of the puzzle the Rater does not yet have, how to get them those puzzles, and how to SHOW the Rater how to make them all fit together. Principle 3: There are 4 Pillars that must be solidly built in any VA Claim. The Romans built structures that have lasted for centuries. Why? Because they used solid pillars to support the massive structures they built. Almost every service-connection claim needs to be built on what I call the “4 Pillars” of a VA Disability Claim. You build each of those pillars with evidence – 5 Star Evidence (which I will talk about in a minute). The better your evidence, the stronger the pillar. The more confusing and repetitive your evidence – and the more you fail to persuade the VA Rater what that evidence means….the weaker that pillar. Bottom Line: Learn what the 4 Pillars are – that’s my term, not the VA’s, by the way. Learn how to build those 4 Pillars in your VA Disability Claim. Principle 4: The key to Proving your VA Disability Claim is to use “5 Star Evidence”. Evidence is to a VA Claim what Special Sauce is to a Big Mac. It is Colonel Sander’s secret Fried Chicken Recipe. Here’s the Secret to VA Disability Claim Evidence – it must have “5 Stars”. When I analyze a VA C-File, I assume that something is untrue until I see a piece of evidence to support it. There are generally only 2 categories of evidence in a VA Claim: lay evidence and medical evidence. Lay Evidence is the Bullet, and Medical Evidence is the Rifle: one cannot work without the other. If you don’t use the best bullets, and the best rifle, you limit your ability to hit a target. Same thing goes for VA Disability Claims evidence: build any 1 of the 4 Pillars with crappy evidence, your claim stands a good chance of failing – best case scenario, without the right evidence your claim will take FOREVER! Bottom Line – use “5 Star Evidence to prove each pillar of your VA Disability Claim. What, then, is 5 Star Evidence™ in a VA Disability Claim? 1) Competent: Generally, competent evidence is evidence that is proffered by one that has personal knowledge, or who has specialized experience or expertise to attest to certain facts. Make sure that the person offering evidence has the personal knowledge – and training in some cases – to offer that kind of evidence. 2) Credible: Credible evidence has NOTHING to do with lying or truth-telling. Credible evidence in a VA claim has everything to do with Perception (ability to perceive the events in question), Bias (does someone have a vested interest in the outcome of their factual determination), and Integrity (does the evidence have internal and external “integrity” with other evidence). “Credibility” is one of those “$100 Lawyer Words”… you should take the time to learn what it means. Why is there no explanation of those last 3 terms? I do a much better job of explaining material, probative, and relevant evidence in this post. That’s just a quick overview of the 5 Stars of VA Disability Claim Evidence…I’ve written an entire book on this topic: The VA Disability Claim Evidence Field Manual (click here to learn more about it). In that book I teach you so much more than what the 5 Stars of VA Disability Claim Evidence are. I’m going to show you how to go out and BUILD the 4 Pillars with the right amount of lay and medical evidence. 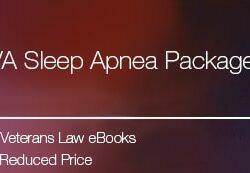 (By the way, the VA Evidence Field Manual comes with the TDIU eBook Package and the VA Sleep Apnea Claims eBook Package). In closing, let me ask you a question – what is the HARDEST thing about VA Disability Claim Evidence for you to understand – if I see patterns in y’alls answers, I’ll write some blog posts to help clarify the things y’all are having trouble with. This is great info! Thanks for sharing this on our “Veterans Enlightening Veterans” Facebook page. I think the hardest part about VA disability evidence for claims is figuring out what information is relevant, for example most Vets don’t know they can get a rating for tinnitus or scars. Will statements from family and friends hold up as equal to sworn statements and awards (CAB or PH)? I know that each specific disability has categorical requirements for a rating, is it wise to review those requirements before submitting your c-file? I’m really enjoying being a part of the facebook group…I’ve been ‘lurking’ a little bit while I get used to “who’s who”, but I try to share a new post each day for y’all. The short answer is this: you should know the requirements to prove the rating level you think you are entitled to for each condition, and then use lay or medical evidence to prove those facts, as appropriate. I’m filing a compensation claim for problems stemming from the Camp Lejune water contamination problem…I was stationed at Lejune for 1 yr..Drank, bathed, shaved wis this water. I’m now being dog nosed with nonspecificdemyelination…My doctor sais there’s a better than 50% chance this was becouse of the water..I also have problems keeping a job becouse of a bad temper, short term memory loss, and tinitus…can’t hardly hear becouse of it..
Love your post, man! I’d love to talk to you on the phone sometime when you’re not busy…Are you EVER not busy? Dale, I’m not so much “busy” as I am singularly focused. My goal is to change the way Veterans Experience the VA Claims Process, so we focus our work every day on that goal. I am classified 80% service connected an unemployable . So compensated at 100%. I have asked the VA several times how do they combine a 320% rating an get 80% it never made since to me. I am not trying to increase my rating . I am simply trying understand how a total of 320% from a long list of arms legs brain skeleton damages along with PTSD. I really am in much better condition then sounds . I am just trying to understand the system. Here is a post that explains the concept behind “Combined Ratings”: VA Math, Explained. If you still struggle with it after reading that (combined ratings are not intuitive math), send an email to me at Veterans Mail Call., list all of your conditions and their percentages and I will show you the math in your situation.